How’s your day going? How’s your week going? Are you worried about your finances, your kids, your job? Or are you just weary? Maybe life has become too much. I know, sometimes I too get worried about the things that are swirling around me. Sometimes I come to the point of being so overwhelmed by the things that are happening around me that I just have to…STOP!! So, I take a deep breath, close my eyes and I’m standing in a river with a beautiful waterfall. 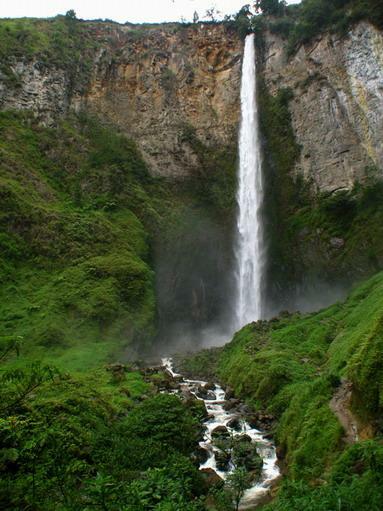 As I walk over to the waterfall I can feel the spray of the waterfall on my face. As I walk into the waterfall and let it pour over me, I look up through the waterfall and see my Father pouring His love over me and saying “I have you, it’s going to be ok.” I begin to dance, sing, jump up and down and just let the waterfall pour over me. My cares, worries and weariness fade away. I have been refreshed in the waterfall of God. God knows our worries. He knows what keeps us up at night. He knows our every need because we are His children! The Word says in Philippians 4:6-7 Be anxious for nothing, but in everything by prayer and supplication, with thanksgiving, let your requests be made known to God; and the peace of God which surpasses all understanding, will guard your hearts and mind through Christ Jesus. God gave me the vision of the waterfall during a time of tribulation when I needed Him so much. Now, the vision is my balm anytime I need it. Do you need God’s waterfall of love poured over you today? Go to the river and stand in the waterfall, dance in the waterfall and let the love of God pour over you even when the storms are ragging around you. Let God give you the peace that surpasses all understanding. I find myself more and more thankful every day for the Body of Christ. I see Jesus more every day too because I see Him in the lives of believers all around me. I see the awesome power of the Holy Spirit moving though His body; exhorting them, leading them, and infusing them with power to accomplish the establishment of God’s Kingdom on the earth. 1 Corinthians 4:20 (NKJV) For the kingdom of God is not in word but in power. The power and authority that God’s people are going to walk in, is, and will be, forever life changing, and that is something to get excited about! I am so excited to see 2017 unfold as the church comes forth in the giftings the Lord is pouring out upon His people. I believe the Lord will continually pour out His Spirit on those who cry out to Him, seeking the power and authority He so wants to give His church. The Word says in Romans 12:6-8 (NKJV) Having then gifts differing according to the grace that is given to us, let us use them: if prophecy, let us prophesy in proportion to our faith; or ministry, let us use it in our ministering; he who teaches, in teaching; he who exhorts, in exhortation; he who gives, with liberality; he who leads, with diligence; he who shows mercy, with cheerfulness. It’s not enough to desire the gifts, but we must purpose to use the gifts once they are obtained. God, who has given us His gifts, is expecting us to go out under the power of them to impact a world that needs what we have even though they are not aware of it. As you hunger and thirst after God, He will give you all that you are in need of. When you walk with Him, in Him and for Him, and not for self, that is when we will see the manifestation of His power flow through the Body, which is you and me. Pray and seek to be used by God for the building and expansion of His Kingdom. There is so much to do, and God tells us the “workers are few”. If you don’t know where to go or what to do, seek the Mothers and Fathers and Sisters and Brothers God provides. They are waiting for you to come forth with your questions so they can help you discover God’s plan for you. The heavens are waiting for your declarations and decrees to come forth. But this won’t happen if you have unanswered questions holding you back. I am expecting more signs and wonders and miracles to come forth in 2017. Arise church! There is much to be done and God wants to use YOU. Be encouraged for He is with you, you don’t go alone. He has placed you in His Body so the strength and encouragement of others is yours always.